Thermal imaging cameras recognise, detect and measure the temperature on a surface. Due to their high thermal sensitivity, the infrared TIM cameras are ideal for precision measurement tasks. Different performance classes enable a suitable model to be selected for every application. The camera is connected via a USB interface, which also supplies the power. 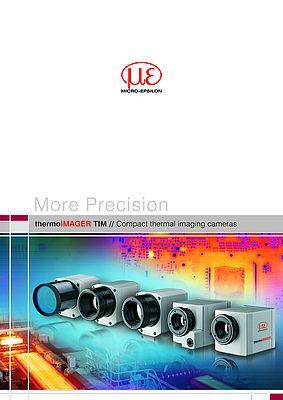 The thermoIMAGER TIM models are presented in the new 24-page catalogue from Micro-Epsilon.